This is the basis on which I expect to exit the companies I own. 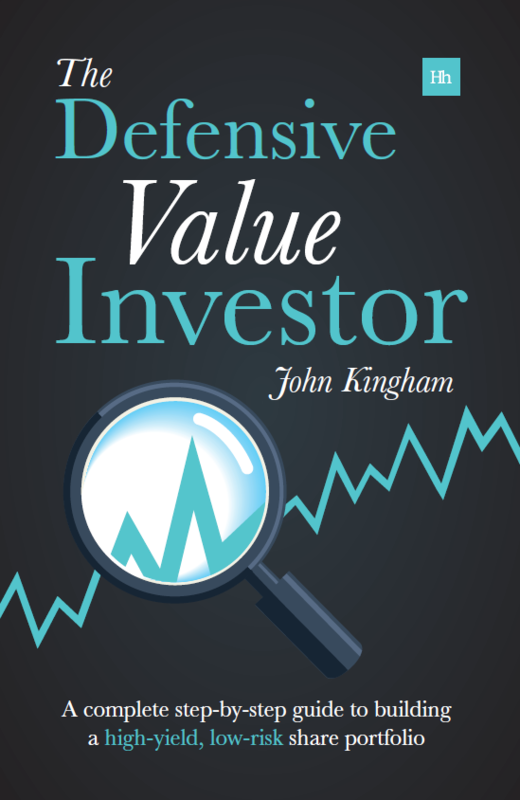 Most companies that are priced well below book value do eventually end up back above it and usually via a higher share price rather than a lower book value. The risk to an investor like me is that a company will never sell at book value because it is just not worth that much even with the best management. Looking at my own holdings, Northamber had produced average returns on equity of 3.8% over the past decade, 600 Group had managed 2% and MJ Gleeson 2.3% (according to Sharelockholmes). Not exactly electrifying and not a return you’d want to leave the safety of a savings account for. Unfortunately that’s not a lot of data, but it’s a start for sure and does seem to imply what I’d intuitively expect – that those companies with higher average return on equity find it easier to return to book value more quickly and profitably. I think it’ll be another year or two before I have enough data to draw a more solid conclusion though (unless there’s some research out there already). But if ROE is useful then how should I integrate it into my system? As a starting point, I have decided that a company must have a minimum average ROE of 5%. The goal with this is to skew my holdings toward the right side of the above chart. It might also increase my dividends, but I haven’t check that yet. In addition to that hurdle, I have adjusted my buying and selling price points. Previously I’d sell if the price/book was 1. Now I think I’ll sell when the price/book ratio is ten times the average ROE, or when it’s 1, whichever is lower. The point here is that in my imaginary world most investors will settle at some point for 10% returns (after all that’s what the stock market historically makes), so a company with an average ROE of 8% should at some point sell for 80% of book value giving the shareholder a 10% return (assuming all earnings are paid out as dividends, but that’s another story). But, if the company has produced returns above 10% then I take the pessimistic view that they may not match such lofty heights in future and that even if ROE has historically been say 15% then I will sell at price/book of 1 rather than 1.5. The same logic applies to buying, where I will now only buy if I have at least a 50% margin of safety against ROE10 times 10. So with the 8% ROE example above I’d have a maximum buy price/book of 0.528 (66% of 0.8) and a sell price/book of 0.8, instead of my previous 0.66 and 1.0 targets. Of course if I can buy a company more cheaply than this then all the better. Using this approach I have decided to jettison Northamber, 600 Group and MJ Gleeson from the portfolio, as they were all priced above their ROE10 times 10 valuation. I’ve replaced them with AGA Rangemaster (average ROE of 8.7%), Barratt Developments (average ROE of 18.5%) and Vislink (average ROE of 9.5%). A bit drastic perhaps, but at least none of the jettinsonees were sold at a loss (annualised returns of about 14.8%, 2.2% and 22.6% respectively) and both AGA and Barratt bring some well known names into the fold, which makes a change. Last but not least, I sank some more money into Luminar just to thank them for not going bust yet. Good work chaps, keep it up and perhaps I’ll get that 462% gain my spreadsheet says I’m due. Excellent post. I've been thinking along similar lines and produced a spreadsheet that ranks companies according to their book value (low is good) and roe (high is good) – a bit like Greenblatt's Magic Formula. The thinking behind the ranking system is book value is sometimes inflated, but if it is roe should be low and therefore the share won't be ranked highly. Another interesting thing to do is plot book value and cumulative dividends over a long period of time. This is a crude estimation of how much the company is growing shareholder wealth (I got the idea from stockpup.com). The first company I have applied it to is Northamber, which I'm blogging about later today. It looks to me as if its slowly liquidating itself (i.e. book value plus cumulative dividends is slowly falling – the company is slowly shrinking in order to pay the dividend). That doesn't mean its bad value of course. The point of buying net nets is that even if they do liquidate themselves investors might make a profit! Interestingly, in taking this approach you are affording yourself some of the protection against clunkers provided by the F_Score. High F_Score companies have positive and rising roa, and cash flow roa. As for the Magic Formula, I think we're all dancing around the same handbag of price and returns at the end of the day. Let's hope some of that magic rubs off on us. And good luck with Northamber, it's like playing pass-the-parcel round here! It's something I'm chewing on myself. Does one buy cigar butts, hoping that returns revert to the mean, or does one buy companies with good returns on equity, hoping that one has correctly judged such difficult-to-evaluate concepts such as "moat"? What I seem to be noticing is that coming out of bear markets, value stocks (as one person put it: "the dash for trash") seem to do exceptionally well. This suggests a strategy that after a year of marked downturn, strongly consider moving into predominantly into low-PE (with good balance sheet) stocks. The bounce should be good. After a recovery, consider moving to predominantly defensive type stocks. IIRC (and I probably don't), Bolton said that mid-way through bull markets, defensive tend to outperform cyclicals. I think he expressed the opinion in 2009 that we were in the mid-way phase. 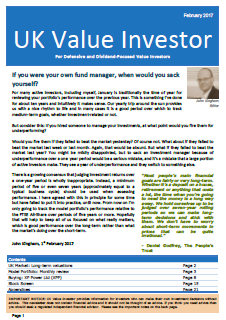 From memory, I have noticed that low-PE stocks don't tend to do so well later on; so I think there's considerable merit to the kind of strategy I'm outlining. I think you're probably right in that different types of 'value' stocks do well in different phases of the market's cycle. I don't think it's for me though as it adds layers of additional complication like working out what the phase is (is that reliably possible?) and having knowledge of valuing various different sorts of value situations. I'm not sure it would add any additional return for the effort, or that I have the effort to spare! Of course someone else might be able to make this work and if so, good luck to them.